Manchester City have knocked Reading out of the FA Cup, emerging 1-0 victors in a tensely fought match. 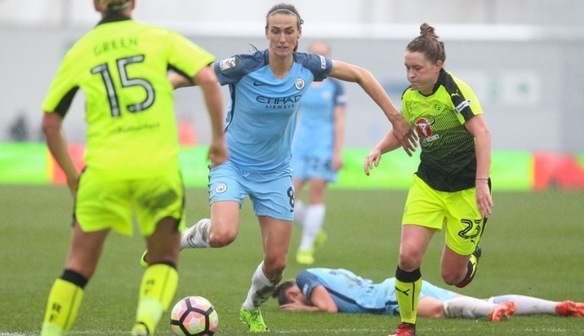 After nearly six months since Reading Women’s last competitive game, on paper the test could not have been tougher, playing a City side that conceded just 4 goals in their undefeated WSL1 title winning season in 2016. It was a scrappy opening to the game at the academy stadium with a number of fouls committed on both sides as the rain poured down. Faced against a very strong City side, which included their new signing Carli Lloyd, the Royals showed great character and determination, with their defence conceding only seven minutes from time to a Lucy Bronze effort from just outside the box. 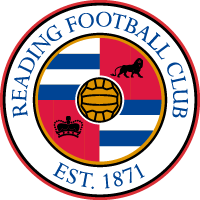 Reading had Mary Earps to thank for not conceding earlier, the England goal keeper making a string of impressive saves before denying Georgia Stanway from the spot in the 65th minute. Lauren Bruton came off the bench to replace Chaplen in the fifty eighth minute, and it was Bruton who showed the most attacking spark for the Royals, dancing through the City defence on a number of occasions. Kelly Chambers handed debut’s to Mandy Van Den Berg, Anna Green, Rachel Furness and Brooke Chaplen, however Chaplen’s game was unfortunately cut short following a nasty collision. Chambers praised the debutants post match; “they put in a great shift and have already gelled really well into the team, I think they’ve shown in their performances and how hard they’ve worked together already, it looks really promising and there is a lot to be excited about”. Kelly Chambers was also full of praise for the team’s performance: “I thought the performance was outstanding, for us to be 9 weeks into our pre-season and to play a game like this and perform the way that we did I think it's excellent from every single player and I’m excited for the start of the league and to start competing for places higher up the table. I think everyone put in a shift and we also saw today just how important a goal keeper is to a team. Mary Earps was outstanding, she made some fantastic saves today and kept us in the games at times. And again it was nice to see girls that have been injured at times get out on to the pitch; Lauren Bruton and Remi Allen, they came on and made changes to the game, but Mary was outstanding”. The Royals will now wait until April 22nd for their next competitive game, where they will face newly-promoted Bristol City Women away at Ashton Gate.